HomeNews in PerspectiveBreaking News: Is Kandeh Yumkella declaring for SLPP’s presidential flagbearership? There are unconfirmed reports tonight, that Dr. Kandeh Yumkella (Photo) will soon be stepping down from his UN job, so as to declare his interest in contesting the presidential flagbearership elections of Sierra Leone’s main opposition SLPP party. General and presidential elections are not due in Sierra Leone for another two years, and the opposition SLPP will not be holding its presidential flagbearer elections any time soon – not before October 2015. 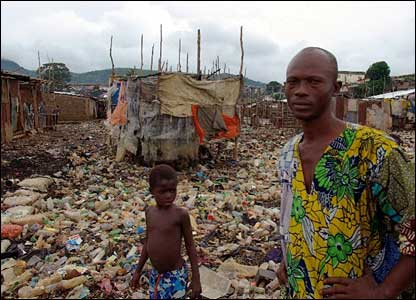 However, with the country’s economy and social development now at rock bottom, due to the preventable Ebola crisis, poor leadership, corruption and economic mismanagement, the people of Sierra Leone are desperate for a change of government and presidency. Analysts say that this unconfirmed announcement will set the cat among the pigeons, both within the Koroma government who have been caught flat-footed by Ebola, and also among the other contenders of the SLPP’s 2017 presidential flagbearership. 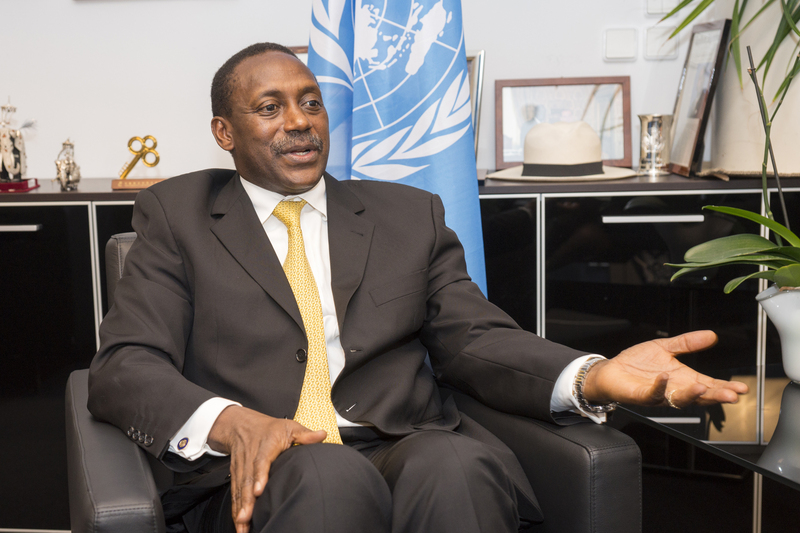 Last August, Dr. Kandeh Yumkella, who heads the ‘UN Energy for All’ programme and worked for several years as the Director of UNIDO, donated $5,000 to the cash strapped Koroma government to help combat the Ebola virus. Dr Yumkella also donated 40 bags of rice to the children of deceased health workers of Ebola, through his Kandeh Koleh Yumkella (KKY) movement. Political observers say that with the economic crisis unfolding in Sierra Leone, the next 5 years will be crucial, and will demand an astute leader who can galvanise a strong and capable team of professionals to steer the country out of the mess created by the inept Koroma government. Kandeh Yumkella, is believed by many to have the right leadership pedigree to turn the fortunes of Sierra Leone around, and lead the country towards sustainable economic and social development. But some critics say that Kandeh is yet to become a fully paid member of the SLPP, and does not have the ‘street cred’ of some of the home grown contenders within the party.